Michał Zadara is one of the most talented theatre directors of his generation, best known for his bold theatrical interpretations of the classics of world literature. He poses difficult questions addressing Polish patriotism, the current situation of young Poles, and attitudes towards history. He collaborates with theatres in Warsaw, Kraków, Bydgoszcz and Vienna. Theatre director known for his bold theatrical interpretations of the classics of world literature. Michał Zadara was born in Warsaw on 19th October, 1976. He spent his childhood and adolescent years abroad. At the age of three, he moved with his parents to Austria. After graduating from high school in Vienna, he moved to the United States. In 1999, he completed his studies at Swarthmore College in Philadelphia, graduating from the Faculties of Theatre and Political Science. In 2001, he begun studies at the Directing Department of the Theatre Academy in Kraków. Later on, he moved to New York to work as an IT specialist, PR assistant and carpenter for a theatre. He produced a play at the Off-Off-Broadway Collective Unicorns Theatre. After returning to Poland, he failed to start studying directing at the Ludwik Solski State School of Drama in Kraków and he bacame an assistant to a stage designer Małgorzata Szczęśniak at the Teatr Rozmaitości in Warsaw. Only the next year, in 2001, he passed the exams and became a student of the Faculty of Theatre Directing in Kraków. In 1996, during a stay in Poland, Zadara directed Eric Bogosian’s Do You Miss America? at Studio Buffo in Warsaw. In the course of his studies at Swarthmore College, he staged Witkacy’s Kurka Wodna (1999). A year later, he directed Bones in Whispers, based on Thomas Stearns Eliot, at a fringe theatre in New York. Starting in 2004, Zadara managed to co-operate with numerous theatres including Teatr Wybrzeże in Gdańsk, Stary Teatr / Old Theatre in Kraków, National Theatre in Warsaw, Teatr Współczesny in Wrocław, Capitol Theatre in Wrocław, Teatr Współczesny in Szczecin and some theatres abroad: Maxim Gorki Theater in Berlin and Habima National Theatre in Tel Aviv. 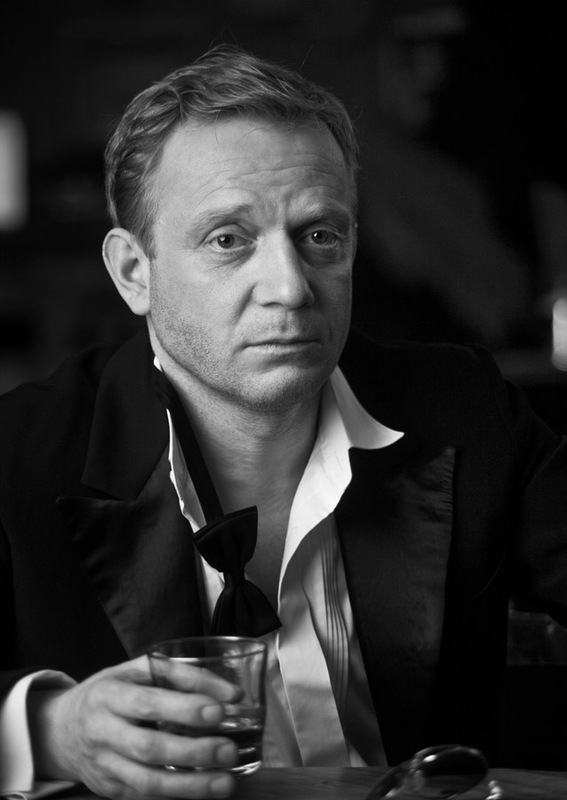 In 2001, he returned to Poland to study directing in Kraków. He collaborated with Kazimierz Kutz, Jan Peszek, and Michał Grabowski. While still at the Kraków Academy, he staged Heiner Müller’s Hamlet Maszyna (Hamlet Machine, 2003), and Witkacy’s Szalona Lokomotywa (The Crazy Locomotive) at Nowy Theatre in Słupsk, assisted by Jan Peszek. In 2004, as part of Baz@rt Festival, he realized Korek, together with Anne-Laure Liégeois. It was a form of improvised theatre, in which the audience entered a car and watched short scenes. A year after, Zadara directed Peter Handke’s Obrażanie widzów (Offending the Audience) at the Stary Kraków Foundation Scene. In 2005, under Zadara’s direction, Wybrzeże Theatre in Gdańsk produced From Poland with Love, written by young playwright Paweł Demirski. Although the performance, which diagnosed the self-awareness of young people in Poland, met some criticism for imperfections in its staging, it was credited with authenticity and a fresh theatrical approach. Zadara made a noticeable entrance to theatre with his uncompromising questions about Polish patriotism, the present situation of young Poles, and Poles' relationship to history. The same year, in partnership with Demirski, he staged Wałęsa. Historia wesoła, a ogromnie przez to smutna (Wałęsa, An Amusing Story, Therefore a Sad One, 2005), in which he attempted to re-read the legend of Wałęsa and Solidarity, and reflect upon its influence on the present-day life of Poles. Zadara admitted that he had a great need to deal with Polish issues through Polish literature. He soon reached for the classics. First, he staged Juliusz Słowacki’s Ksiądz Marek (Father Marek, 2005) at the Stary Theatre in Kraków, followed by Stanisław Wyspiański’s Wesele (The Wedding, 2006) at the STU Theatre in Kraków. In Father Marek, he examined another Polish national myth through the prism of the Warsaw Uprising. For his staging of The Wedding, the director chose an unusual set design – the wedding party takes place in the groom's bathroom. The performance focused mainly on young people who fail to undertake any action; as egoists with no connection to their roots, they fail to take responsibility for themselves, not to mention for their country. 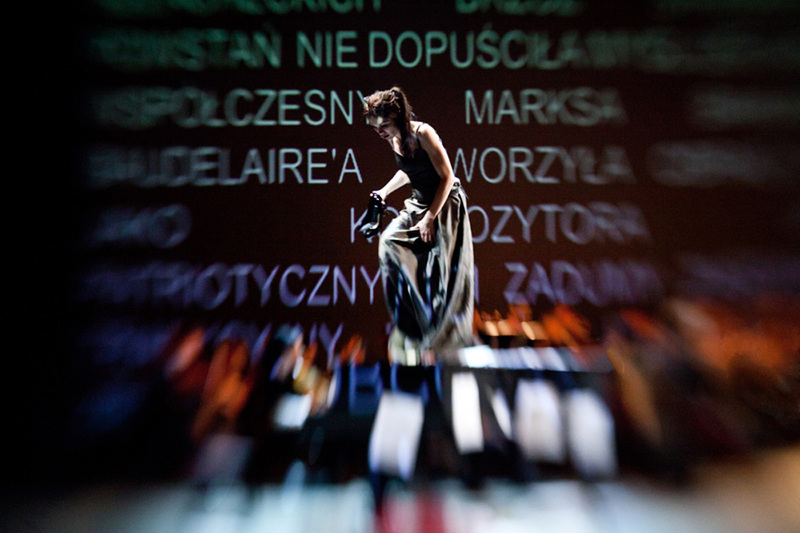 In following years, Zadara experimented with Tadeusz Różewicz’s text Kartoteka (The Card Index), which he staged in the form of a happening in a space imitating a subway station (Contemporary Theatre in Wrocław, 2006), and Jan Kochanowski’s Odprawa Posłów Greckich (The Dismissal of the Grecian Envoys, Stary Theatre in Kraków, 2007). While interpreting the play as a modern political tragedy, he emphasized its poetical form and musical structure. The director also reached for world classics. In his staging of Jean Racine’s Fedra (Phaedra, 2006), Zadara highlighted the elaborate poetry of the play, but the performance emanated with a distant, ironic, and ambiguous mood. Zadara also authored the performance Na gorąco (Hot), based on his own script (2006) inspired by Billy Wilder’s As Hot as It Gets. This musical comedy, staged in the Contemporary Theatre in Szczecin, dealt with stereotypes of gender and origin. In 2007, Zadara directed Ferenc Molnár’s Chłopcy z Placu Broni (The Paule Street Boys) in the National Theatre. In the performance, he juxtaposed young and old actors from the cast in order to show the specificity of interpersonal relations prevailing in most of the theatre teams, and in any group. This directorial gesture, as well as subtle political allusions, enhance the story about a group of boys and the hierarchies which start to operate within the group. Zadara’s interpretation turned it into a story about power. In the same year, he directed another two contemporary dramas. In the Contemporary Theatre in Wrocław, he staged Ivan Vyrypaev’s Księga Rodzaju 2 (Genesis 2), a reserved story of the madness of schizophrenic Antonina Wielikanowa, and in the Capitol Music Theatre in Wrocław – Operetka (Operetta) by Witold Gombrowicz, with music written by Leszek Możdżer. The same year he received a prestigious Passport Award of the Polityka magazine in the theatre category for "impressing creative activity and plays that restore the faith in theatre as space of artistic freedom." Soon after, Zadara returned to the classics. Under his direction, Friedrich Dürrenmatt’s The Visit was transferred to the realities of Poland after the economic transformation (Contemporary Theatre in Szczecin, 2008). It was followed by a staging of Każdy/a. Sztuka Moralna (Everyone. Moral Drama), an original variation on the Old English morality play Everyman (Studio Theatre in Warsaw, 2008), and the most interesting – Ifigenia. Nowa tragedia według Racine’a (Iphigenia. New Tragedy by Racine) (National Old Theatre in Kraków, 2008) paraphrased together with Paweł Demirski and a radically modernized version of the classical text. The incoherent language, every now and then, exposes the characters – wrote Łukasz Drewniak about the staging – forcing them to balance between levels of artificiality, because their plastic world becomes subject to verification. The cynicism of the characters is confronted not only with death, as it has no meaning in this world, but to the reaction to the crisis, the decline in viewership, falling out of a tabloid. (Przkrój 2008, No. 28). It is an attempt to recover this piece for the theatre and an occasion to address the question regarding the conditions under which this piece could be present in the theatre, or in Polish culture in general. I explore the possibilities of theatre. Rej was very critical of the church and the clergy. His allegations still sound valid and amazingly courageous. At the same time, he suggests a very deep and focused spiritual path. He is not satisfied with merely a critique of Catholicism, but also proposes a return to the sources of Christianity, founded on grace and mercy. This is a very religious play, and more important to Rej than criticism of the Church is criticism of the spiritual condition of modern man. Contemporary to him, and contemporary to us. In this sense, it is contemporary art. - says the director. The next play in Zadara’s directorial career was Nocleg w Apeninach (Night in the Apennines) produced at the Contemporary Theatre in Szczecin, a rarely staged operetta by Aleksander Fredro with music by Stanisław Moniuszko, interpreted contemporarily by Jacek "Budyń" Szymkiewicz. One year later, Zadara once again staged a classic Polish piece – Księgi narodu polskiego (The Books of the Polish Nation) by Adam Mickiewicz, which he juxtaposed with rock songs from the 80s and dramas by Paweł Demirski. The play was titled Utopia będzie zaraz (Utopia is Coming Soon) and premiered at the Stary Theatre in Kraków in February 2010. The performance is staged in the scenery of the barber shop from the era of backcombed, heavily sprayed hair. And this reflects the need for rebellion inherent in the characters: artificial, painted, superficial, dictated by fashion rather than reality. The characters named after the actors that play them (Małgorzata Zawadzka, Barbara Wysocka, Krzysztof Zawadzki, Krzysztof Zarzecki, Juliusz Chrząstowski, Błażej Peszek) tell the story of the first generation with no mythology, with no romantic gesture of rebellion, without the ethos of fighting the system – the generation of everyday life. They are too young to have thrown a bottle of gasoline at a tank during martial law, at most they were aware of cancellation of Teleranka (a programme for children) on TV. His fascination with sound and music returned with redoubled energy in the next play staged by the young director, who made his debut on the stage of the National Opera in Warsaw in October 2011. Zadara directed Aeschylus’s Oresteia to the music of the Greek composer and mathematician Iannis Xenakis. The performance combined the sounds of contemporary classical music, ancient Greek tragedy, Japanese nō theater and songs from the Orthodox Church. Zadara moved the action of the play from the time of the creation of Athenian democracy into the times of communism. Oresteia, as emphasized in interviews with Zadara, is about the origins of our political identity, about a country which emerged from the Great War. Another great protagonist in Zadara’s production was Bruno Schulz and his Messiah, a mythical book that was probably never written, and which Jerzy Ficowski, a researcher of the works of the writer from Drohobycz, spent his entire professional life looking for. The premiere of Bruno Schulz: Messiah (with text written by Małgorzata Sikorska-Miszczuk) was held in Vienna’s Schauspielhaus. In Poland, it could be seen during the Warsaw Theatre Meetings. Zadara's next staging – this time at the Polish Theatre in Bydgoszcz – was The Great Gatsby, based on the cult novel by F. Scott Fitzgerald, with which he examined the tastes of the Polish audience with good effect. The performance combined rotating, multi–storey scenes, cars, motorcycles, and beautiful costumes referring to the atmosphere of 1920s America. This is not a play. Hotel Savoy is not even a theatre installation, as was said earlier. The director made a quasi-theatrical event of a very communal nature, and it should be considered in these terms. Community is the rite of Forefathers’ Eve, because Hotel Savoy is largely this – a quaint evocation of spirits. The subject of modern history returned in Zadara’s artistic career in Awantura warszawska (The Warsaw Row), which was produced on the occasion of the 67th anniversary of the Warsaw Uprising. It was created from the documents sent by Churchill, Stalin, Roosevelt, and Polish commanders, as well as from correspondence between English, American, Soviet and Polish diplomats during the Warsaw Uprising. Zadara talks about these events without showing them; by examining international diplomacy during the Uprising, he is trying to show the Polish fate, especially that of fighting Warsaw. The premiere took place on 1 August in the Hall of the Liberator at the Warsaw Uprising Museum. This play is about the fact that everything that seems to be a secure investment becomes unreal. There is an essential difference between a bank and a theatre. When you lose money, you are left with nothing. An artistic experience provides a spiritual value that no one can take from you. Even in the poorhouse. In December 2014, the Polish Theatre in Wrocław held the long-awaited premiere of Zadara's staging of Adam Mickiewicz's Forefathers' Eve. 'I want this play to have the effect of a horror', said Zadara, who became the first director to stage this romantic drama in its entirety, without cutting any of the original text. If, as it used to be in Polish theatre, the director did his version of Forefathers’ Eve, which was to be understood and coherent, nevertheless, it was an offence against the spirit of literature and the literature itself. It can be done with any other author. However, if Mickiewicz is to be a prophet of the Romantic poets, shouldn’t we make an exception for him? We rush through Mickiewicz’s landscape, every now and then, discovering phrases, characters, well-known domestic and domesticated situations. Innocent young sorcerers... A woman, miserable, down... Shoo, shoo, shoo ... Dead to the world ... Ah, if you know the original Goethe ... In this fascinating expedition to the origin of the modern Polish language Poland itself does not appear at all. Not once. Not half a verse. Can you believe that? That's perhaps the greatest surprise of this trip through three-quarters of the Poles’ national masterpiece. The press unanimously complimented the impressive stage design by Robert Rumas and the spectacular monologue performed by Bartosz Porczyk, who was nominated for a Polityka’s Paszport Award for his role of Gustaw. The play was also awarded at the National Contest of the theatrical adaptation of Polish literature classic. Moreover, in 2014 Zadara staged: Zbójcy / The Robbers written by Friedrich Schiller (National Theatre in Warsaw), a play for children Elementarz Mariana Falskiego / Marian Falski's Elementary (Nowy Theatre in Warsaw) and Aleksander Fredro's Wychowanka / The Ward (Centrala in Warsaw). He continued working on Adam Mickiewicz's Dziady / Forefathers' Eve and staged Dziadów część III / Forefathers' Eve. Part III again at the Polish Theatre in Wrocław. This production was considered not the best one, yet Zadara did not give up on his adventure with Mickiewicz. In 2015 Zadara directed yet two another plays – Fantazy and Lilla Weneda, both based on works by Juliusz Słowacki and staged at the Zygmunt Hübner Powszechny Theatre in Warsaw. In Fantazy, set in Podolia region in the 1840s', Zadara exposes the world of hypocrites, revealing at the same time sources of contemporary phobias and complexes. Despite the light comedy tone, the play shows how moral values disappear and are being replaced with money. Lilla Weneda takes place in the times of fairy-tale but brutal reality of prehistoric Poland – during a war between Lechites and Vistula Veneti, two mythical tribes. The story is an excuse to explain Polish state of mind, overstretched with events from the past. Zadara decided to produce for the first time in the history, the performance consisting of all the parts of Mickiewicz's Dziady / Forefathers' Eve. 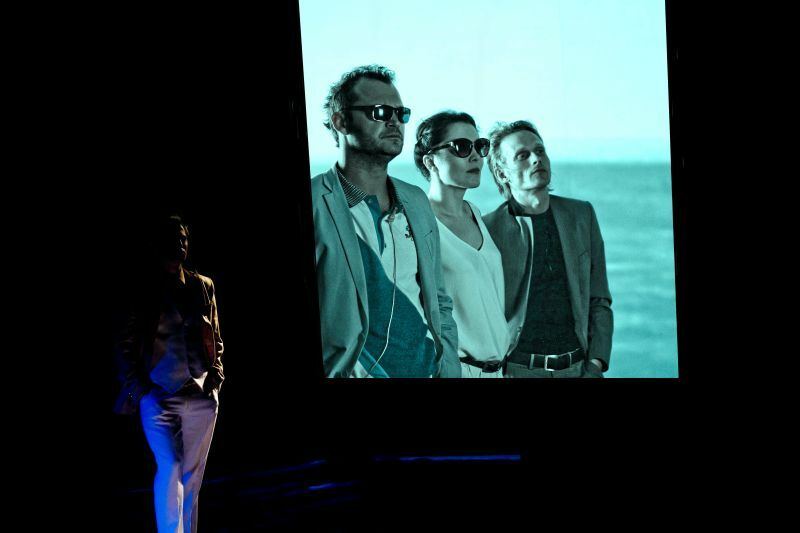 The fourteen-hour long play premiered on 20 February 2016 at the Polish Theatre in Wrocław. The head of the theatre, Krzysztof Mieszkowski, considered the event: „the most important event of the decade at the Polish Theatre”. The performance was stunning. This marathon cannot be compared to anything else. The audience was equally vivid at the very beginning and after ten hours of the play. I think the magnetism consists in the text that, regardless of the way of reading, carries us like a subconscious music. A several-hour trance is a kinf of mystery play. Apart from theatre, Zadara is also engaged in creating installations, independent films and writing articles. His video installation from 2006 Talking in Europe was presented at thr Buda Arts Center Kortrijk and SommerSzene Salzburg. In the work he reflects the thoughts on migration, dreams and work in Europe. In 2012 he made a mosaic in memory of the civilians killed during the Warsaw Uprising made of 31,000 stones. The project was ordered by the Warsaw Uprising Museum. Zadara is also the leader and guitarist of the All Stars Dansing Band, established together with Sean Palmer, Waclaw Zimpel, Jacek Szymkiewicz, Leszek Lorent and Ksawery Wójciński. Zadara has authored numerous articles for the Krytyka Polityczna journal and one of the initiators of the Obywatele Kultury / Citizens of Culture movement, working in favour of e.g. Changing aims and rules of financing and managing culture in Poland. Michał Zadara is also a founder of Centrala, and initiative of Andergrand Media + Spektakle company and the GAP Art Agency. Centrala was created to produce plays staged at the partner institutions and festivals.